In the second part of our Malaysia Blog Series last week, we looked at Malaysia’s growing Digital Economy. With the understanding of Malaysia’s new economy growing, we take a look at the evolving talent pool in the country in the final part of our series today, and discuss the shift in skills and what it means for Malaysians. With Malaysia’s rising Digital Economy, one of the major changes in the Talent Pool would be the growing Tech Talent Gap. As more and more business leaders attempt and succeed in integrating technology into their businesses and business processes, organisations are now taking multiple steps to increase their technology headcount in-house in order to further grow their capabilities and develop technological intellectual property. 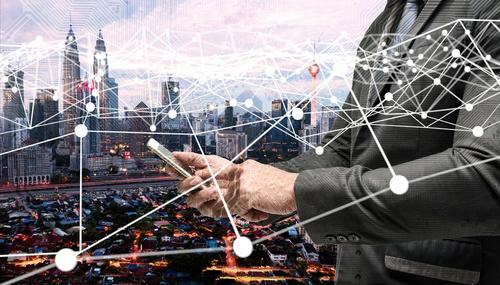 The need for Malaysian businesses to have technology integrated with their business has evolved from being just an advantage to now becoming an absolute must-have to remain competitive in the market. With the increasing number of jobs at the ‘risk’ of being replaced in the near future by the advancement of technology, Malaysia is set to nurture what is will be called as a ‘Digital Workforce’. This ‘Digital Workforce’ will be a labour pool that integrates technology to connect all elements of the supply chain and is tailored to meet the digital economy’s demands. 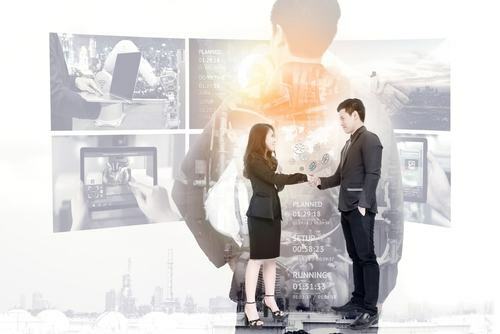 According to the Malaysia Digital Economy Corporation (MDEC), various steps are being taken to build industry-relevant talent this year, in order to tackle ‘disruptive technology’ that automatically comes with diving into the Digital Economy. MDEC CEO Datuk Yasmin highlights the importance of upskilling young students and professional talents as this will ensure employability in a ‘soft’ economy where workers might be threatened by ‘disruptive technology’. This would be a holistic approach in the form of working with schools, institutes of higher learning and digital tech institutes, which would help create a sustainable pipeline of digital workers over the years. According to Datuk Yasmin, there will soon be 10 new premier higher learning institutes for digital technology created. She notes that ‘disruptive technology’ may force companies to tap into a talent pool with tech skills but it doesn’t mean that corporations have to start reducing their workforce - Instead ‘disruptive technology’ will actually be beneficial to companies as the numbers have started increasing for workers skilled in niche new tech areas such as Big Data & Analytics, IoT and Data Security. Multi-skilling is a term that is mentioned frequently these days and Malaysia is no stranger. It is fast starting to become almost a ‘fad’, with the Malaysian Employers Federation (MEF) warning Malaysians earlier this year that more people were at the risk of losing jobs due to the introduction of ‘Disruptive Technology’ in a weak economy. MEF Executive Director Shamsuddin Bardan highlighted the significance of multi-skilling and multi-tasking for the most efficient use of the workforce. There will inevitably be increased productivity and competitiveness, and investment in building and developing skills linked to new technology becomes vital in order for Malaysian talent to work alongside machines and not be replaced by the technology itself. The Malaysian Government had already realised this ‘Skills Gap’ with Higher Education Minister Datuk Seri Idris Jusoh mentioning in a recent interview that public varsity lecturers would be sent to various companies such as technology-driven organisations, for industry exposure so that they could experience ‘Disruptive Technology’ in the real world and bring it back to the classroom. As a start to conquering the technologies of the future such IoT, Big Data, Data Security and Machine Learning, computational thinking and computer science skills have been introduced in Malaysian primary and secondary schools this year under the #mydigitalmaker moverment too. We absolutely agree that Malaysia is definitely taking huge positive leaps toward an evolving talent pool in a variety ways. At SearchElect, we constantly aim to stay connected to best talent in Malaysia. Talk to us - Let us know your thoughts surrounding Malaysia’s evolving talent pool and find out how YOU can gain access to our vast Malaysian network of IoT, Big Data and Cybersecurity professionals. Feel free to contact me on the below details at any point in time. Hope you enjoyed our series and thanks for reading!